Resourceful winemakers are looking for new ways to improve sustainability (and ultimately, profitability). A growing number of producers have started using by-products of winemaking such as grape skins and juice and turning them into a diverse array of alcoholic beverages such as gin, vodka and other grape-based spirits. Chapel Down, in particular, has led the way here, with the launch of a premium spirits line to accompany its already vast drinks portfolio. 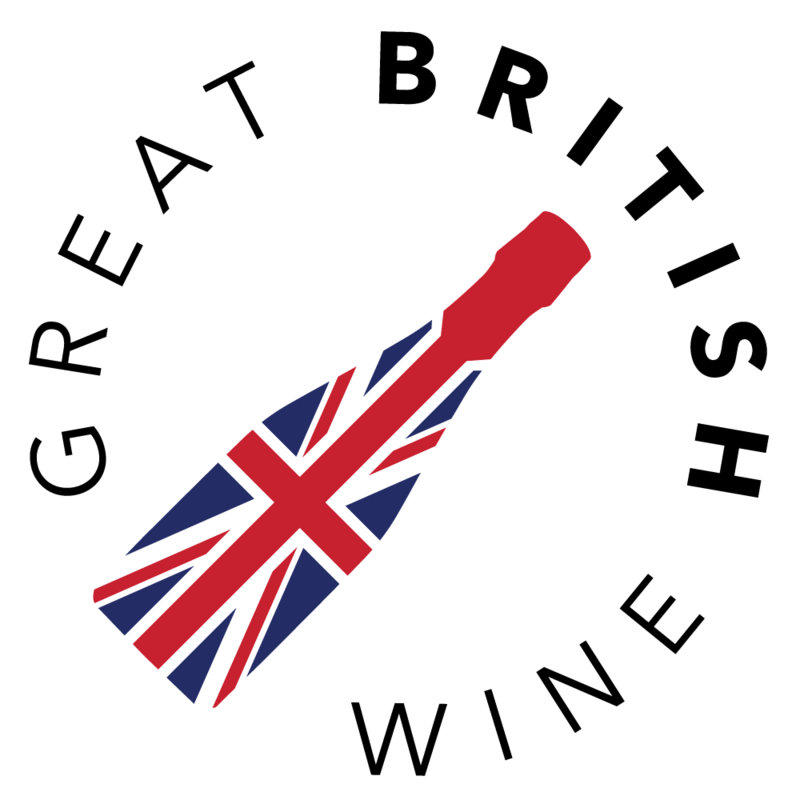 What impressed me most about vodka and two gins were the characterful touchbacks to their English wine heritage. Right now, the gins are the standout products, with Foxhole and Rathfinny also producing distinctive gins in an already diverse marketplace. However, equally exciting are products like Hattingley's AV Aqua Vitae, and Lyme Bay's Lugger Rum, which is a touchback to the West Country’s smuggling history. 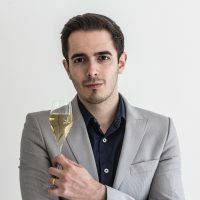 This is the first in a two-part series, look out for Part 2 coming soon, which looks at the growing trend for English wine-based Vermouth. 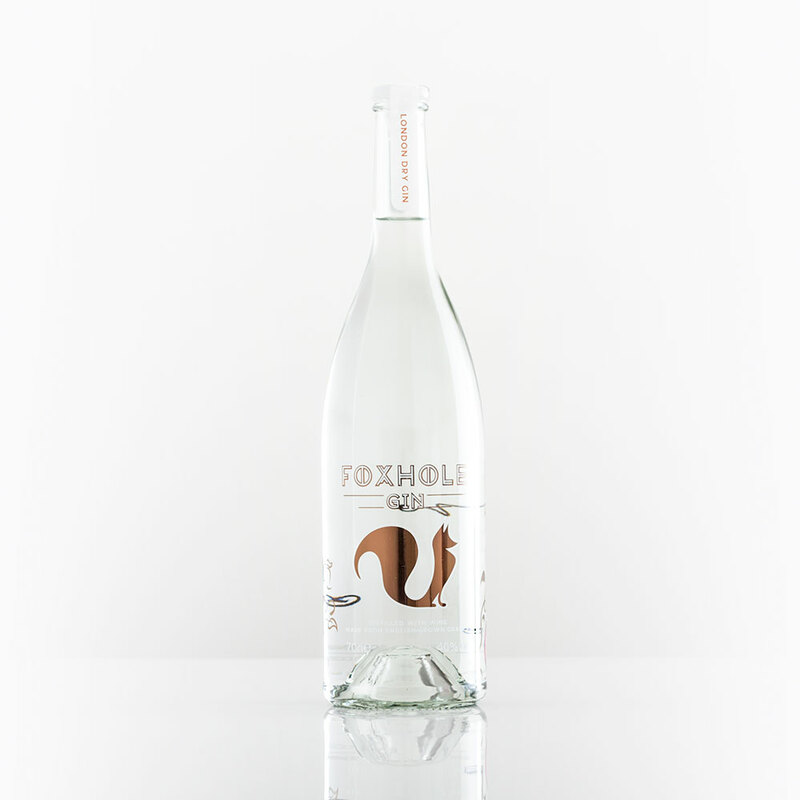 Foxhole essentially kicked off the trend for spirits made from English-wine by-products. Their gin takes grape skins and pulp from English winemaking and repurposes them into a marc grape spirit, before being blended with a neutral base spirit and distilled with botanicals including coriander, citrus zests and angelica. 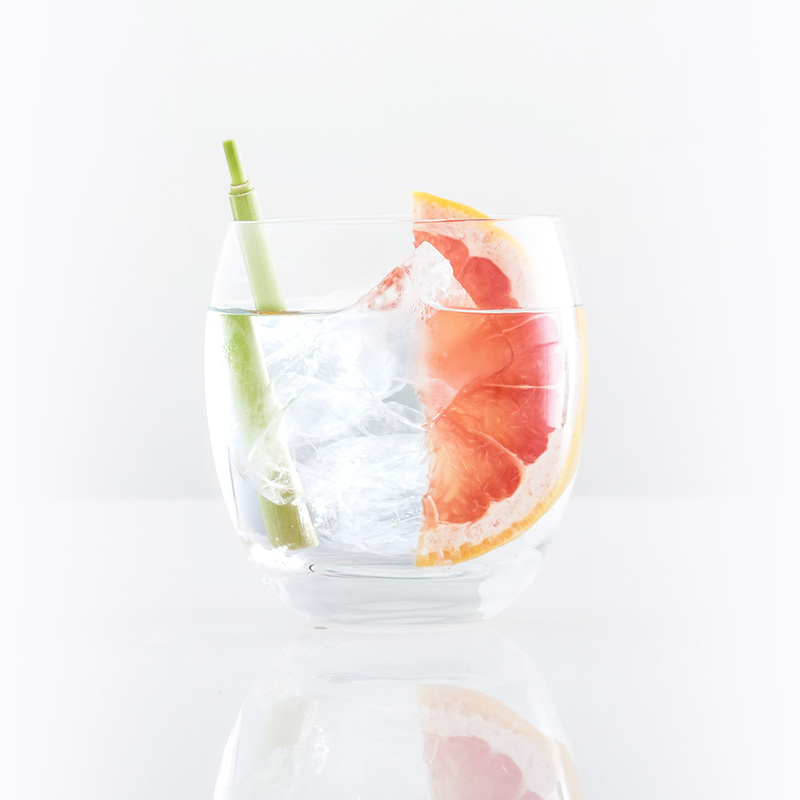 The Foxhole is a fragrant, citrus-led gin that is bursting full of citrus zestiness and fresh, aromatic notes. Softer, creamier textures on the mid-taste, with delicate floral notes and a slight underlying sweetness. This is such a rounded and delicious gin, it drinks beautifully solo, over ice and with tonic. But I’ve found it also to be a fantastic cocktail ingredient, particularly with citrus fruit-based and aromatic style cocktails. Continuing Chapel Down’s diversification, their Bacchus Gin is another fantastic sustainability product. Bacchus grape skins that were left over from winemaking are used to make a spirit that is then blended and distilled with a broad array of botanicals including lavender, coriander, elderflower and citrus peels. Of the four gins featured in this article, this is the one that feels the most influenced by English wine. Its character is rich with grassy, green citrus and floral notes, very reminiscent of the classic character of Bacchus wine. 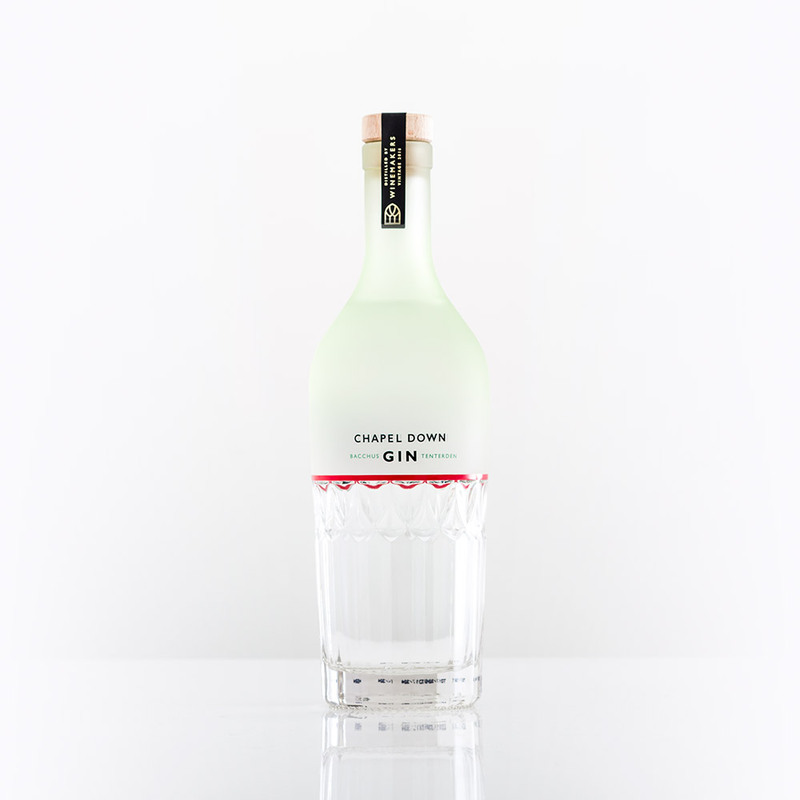 To taste, the Chapel Down Bacchus gin has a real zing to it, with an uplifting zesty citrus character and refreshing grassy aromatic notes. 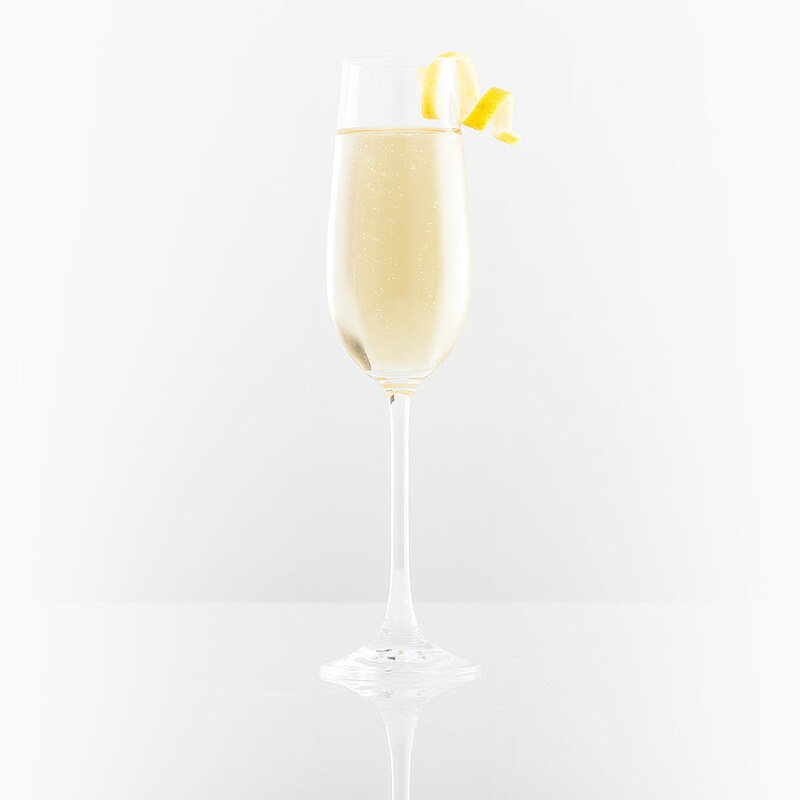 Perfect as a component of Chapel Down’s take on the French 75 cocktail; topped with delicious, crisp English sparkling wine. 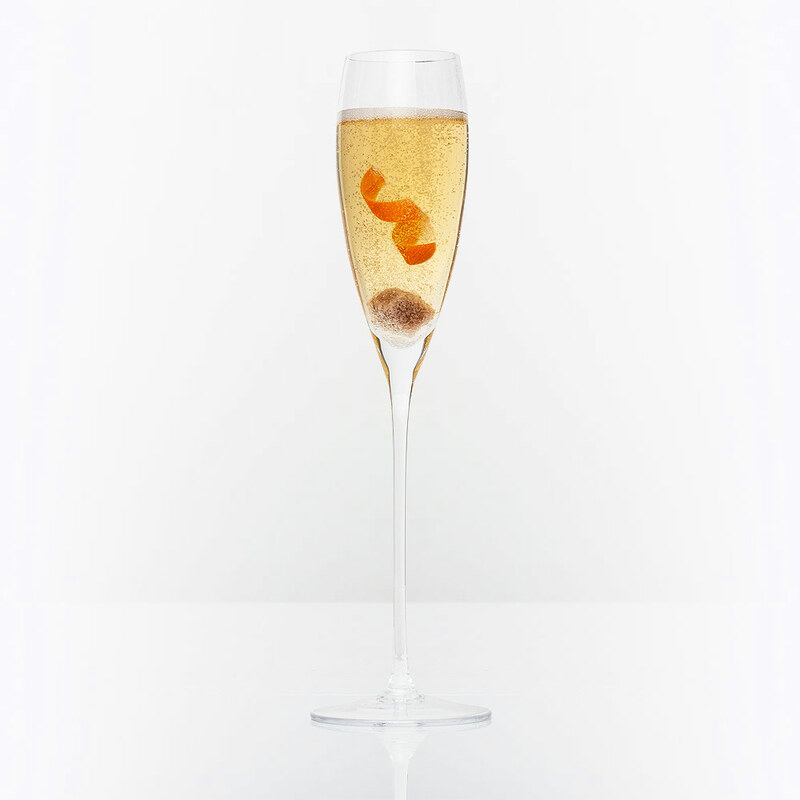 Pour the first three ingredients in a flute, top with English Sparkling Wine (we iused Chapel Down Brut Reserve) and garnish with a lemon twist. 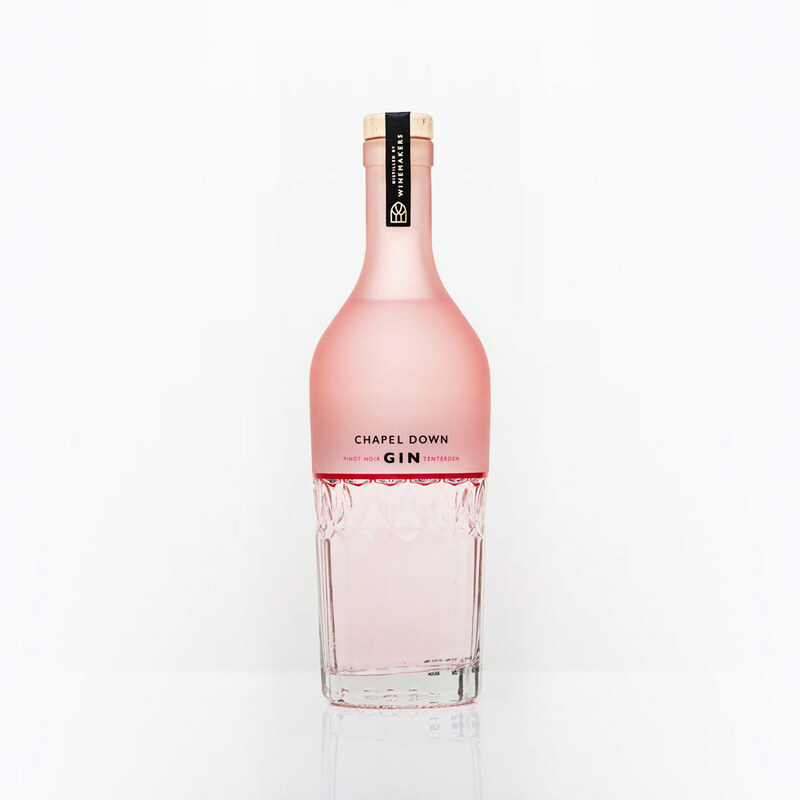 The latest spirit from Chapel Down is the on-trend Pinot Noir Gin, a light blush coloured gin that has arrived just in time for spring. This is once again derived from English wine grape skins, this time from Pinot Noir, which is then blended with a neutral grain spirit. The flavour profile is a fusion of bright citrus and soft, ripe summer berries with the classic notes of juniper and floral aromatics. I find this a particularly successful gin to mix with aromatic tonics and of course, a strawberry or raspberry garnish. However, I took the Pinot connection a little further by creating a cocktail that is based around gin and red wine using the Chapel Down Union Red. 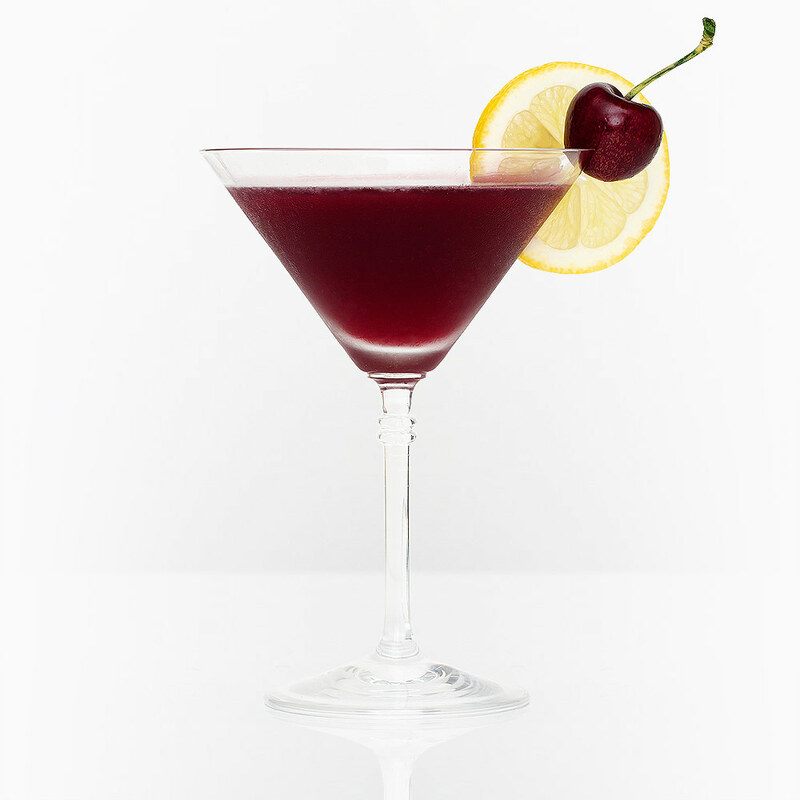 Shake all ingredients over ice and fine strain into a martini glass, garnish with lemon slice and a single cherry. 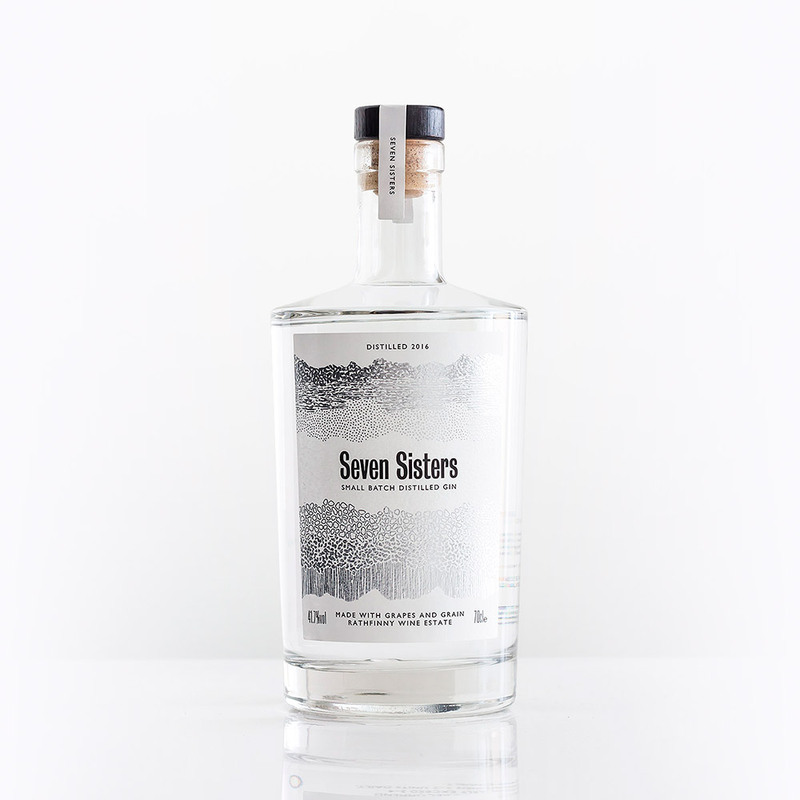 Whilst the Foxhole and Chapel Down gins favour citrus and floral character, the Seven Sisters Gin from Rathfinny Estate feels a meatier offering with a twist towards the more traditional juniper gin character. This gin is again rich on English wine heritage, as it is derived from the ‘Rebêche’, the third pressing of the English sparkling grapes which is high in acidity and sugar. I particularly enjoyed the character of this gin, as it proved to be a brilliant match with lightly spiced tonics – with a dash of black or Sichuan pepper. 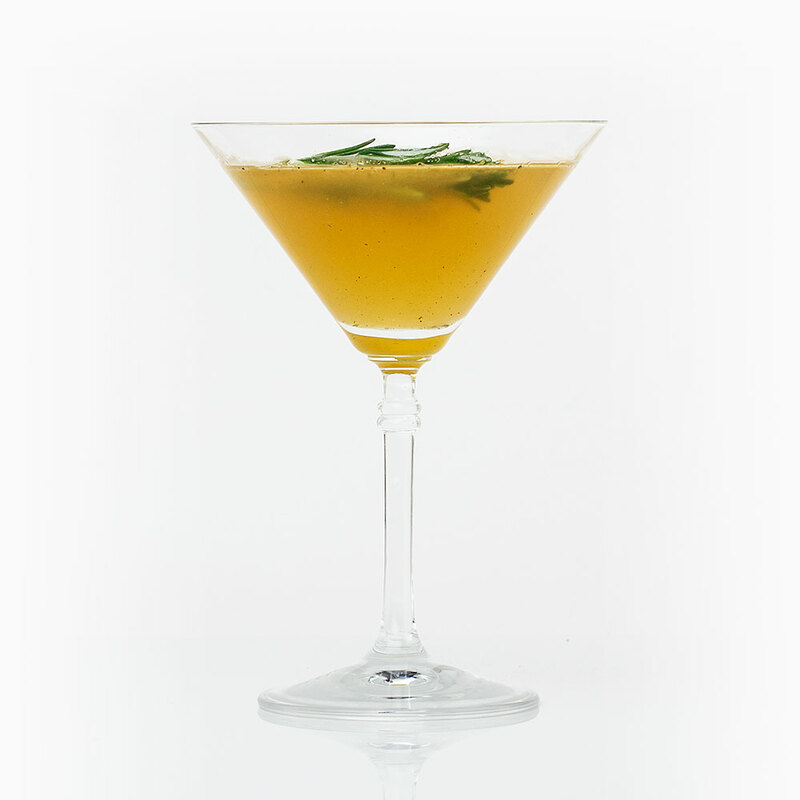 I turned to rosemary to create a wonderfully grown-up, spiced cocktail that partners the intensity of the gin. Muddle the orange peel and a sprig of flamed rosemary in the base of your shaker, pour in remaining ingredients. Shake for 15 seconds over plenty of ice before fine straining into a glass and topping with a fresh spring of rosemary. 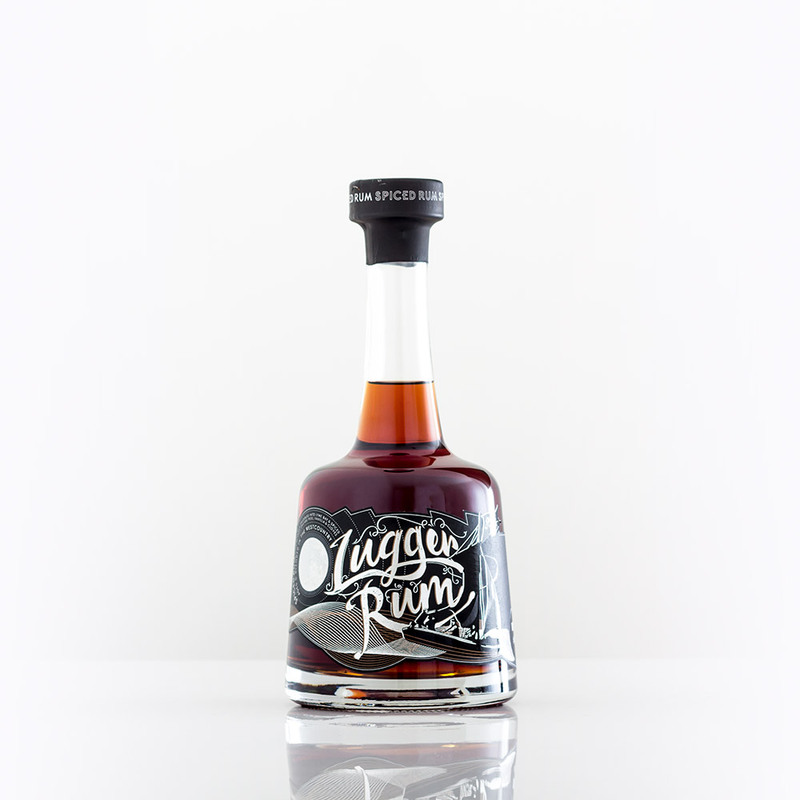 Outside of its English Wine range, Lyme Bay has a huge portfolio of alcoholic beverages spanning liqueurs, mead, fruit wines and premium spirits including this deliciously spiced Lugger Rum. They've taken Caribbean rum, aged it in bourbon-charred oak barrels and then beefed it up with a diverse array of spices including nutmeg, orange peel and cloves. The result is a deep, spiced rum that is hugely versatile in rum-based cocktails. 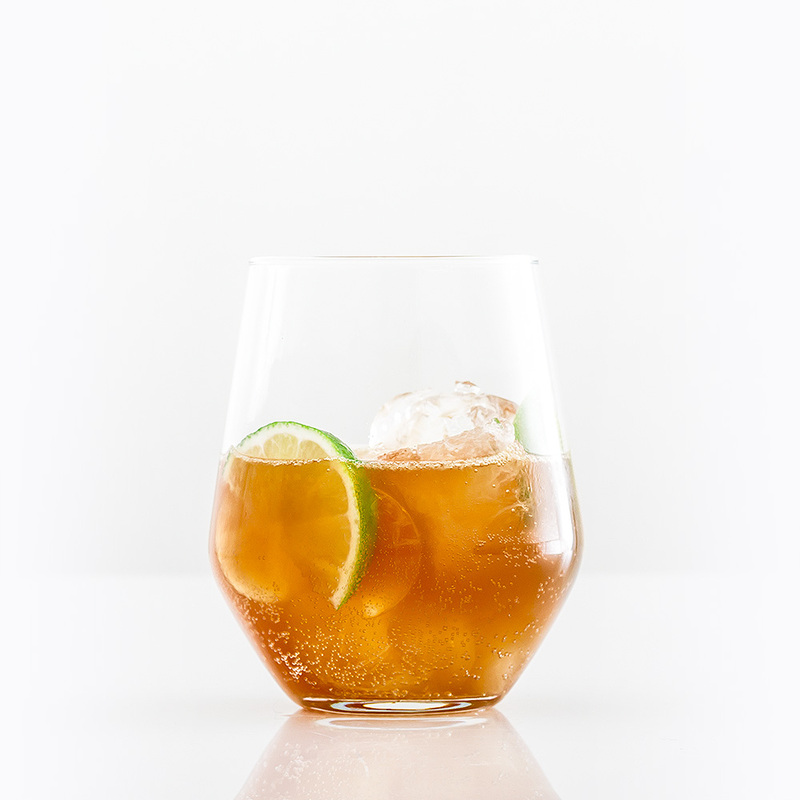 Why not try my take on the classic Dark & Stormy? Lyme Bay’s delicious Lugger Rum, full of toasted wood and spice depth partners brilliantly with a rich smoky ginger beer and zingy lime. In a short glass filled with ice and lime wedges, stir lime juice and rum before topping with the ginger ale. The final of the Chapel Down spirit trio, this vodka is an incredibly versatile spirit thanks to its surprisingly creamy, honeyed character. As the name would suggest, it's made from (triple) distilled Chardonnay grape skins blended with a neutral grain spirit. Unusually for a vodka, I found the Chapel Down Chardonnay Vodka to be a surprisingly delicious drank on its own over ice with a slice of citrus fruit. The softness also makes it a perfect base for martinis, however, I combined with Crème de Cassis, fresh red berries and citrus to produce a summer-friendly cocktail. Muddle 5 raspberries with a strip of orange peel, add all other ingredients and shake over ice. 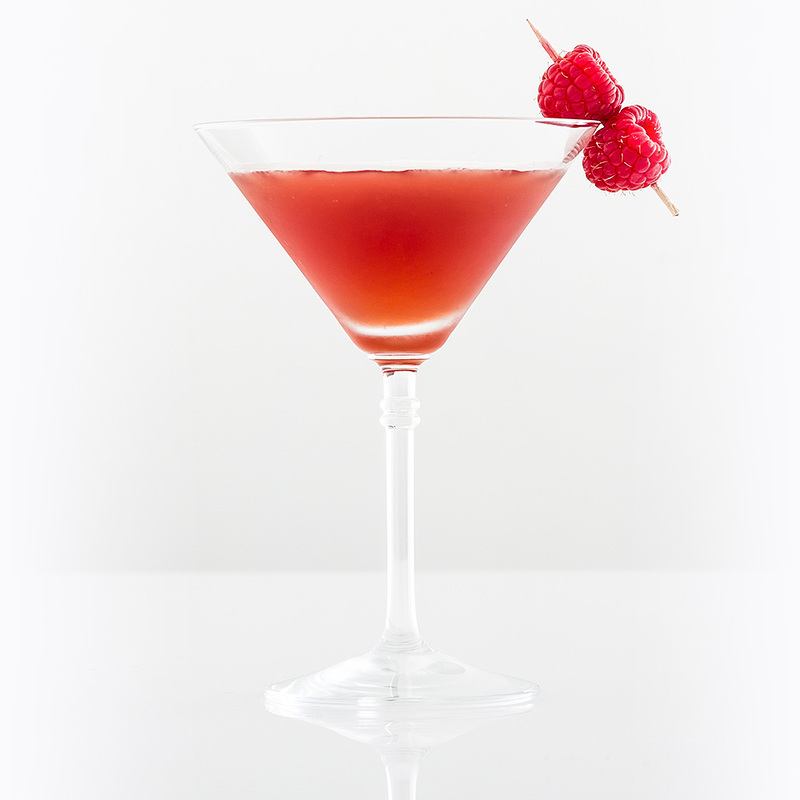 Pour and fine strain into a martini glass, garnish with 3 raspberries on a cocktail stick. 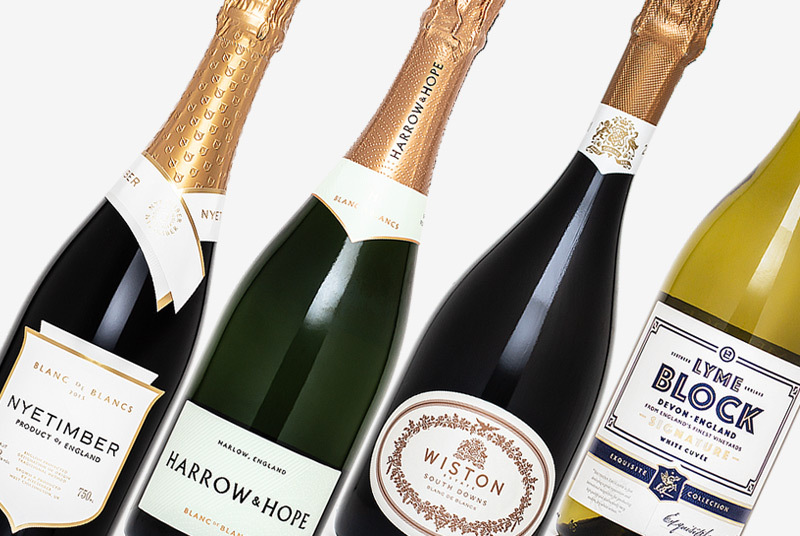 Coming from one of England's most charming boutique vineyards is the High Clandon Essence. 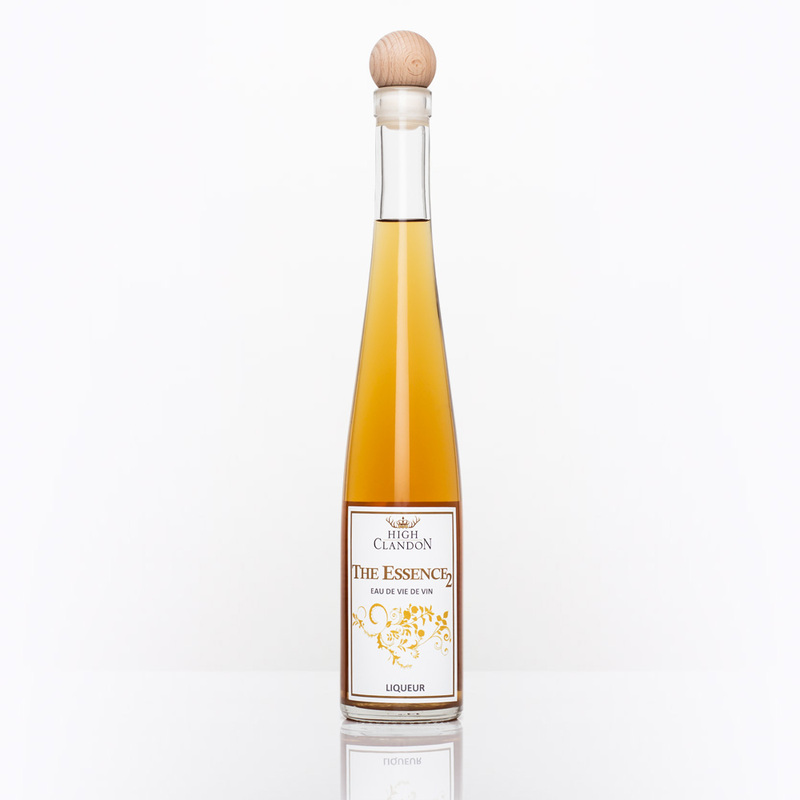 It's an Eau de Vie; a fruit brandy made through fermentation and double distillation, but it is made from grapes (hence the 'du vin' in the name). This is a versatile drink, and despite a 28% abv, it's dangerously drinkable thanks to its flavour profile of ripe stone fruit with hints of herbs and spice. 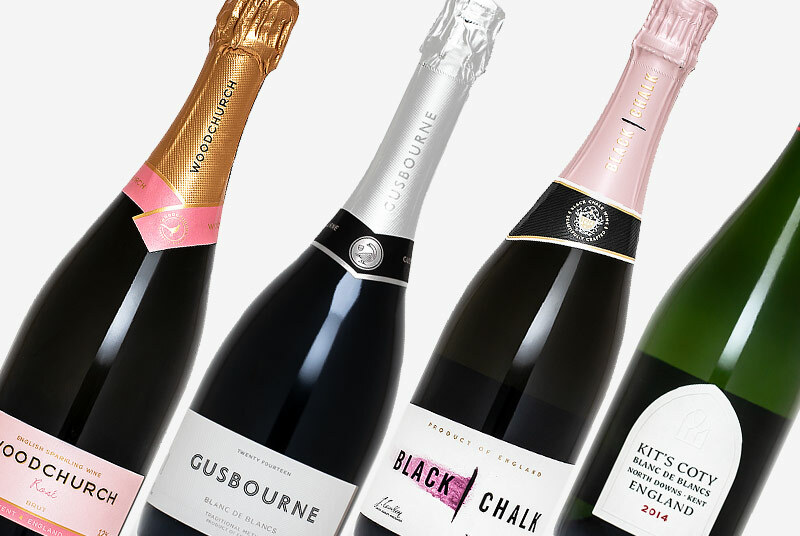 However, in my opinion, it's just made for an English take on the Classic Champagne cocktail, when combined with a dry English Sparkling, for the ultimate in indulgence. Place sugar cube on kitchen towel and drop a few dashes of Orange Bitters over. 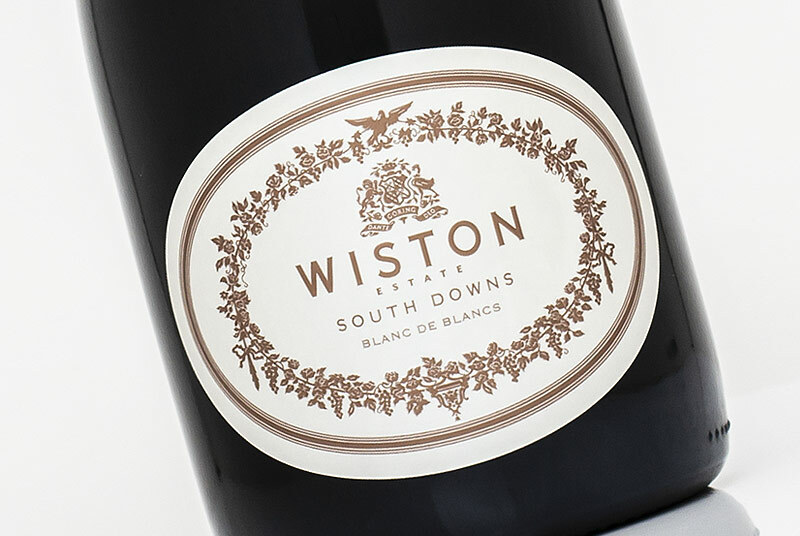 Place in a flute and pour over 25ml High Clandon Essence, before topping with a good quality Brut English Sparkling Wine. Finally, twist orange peel over glass to release oils and place in. 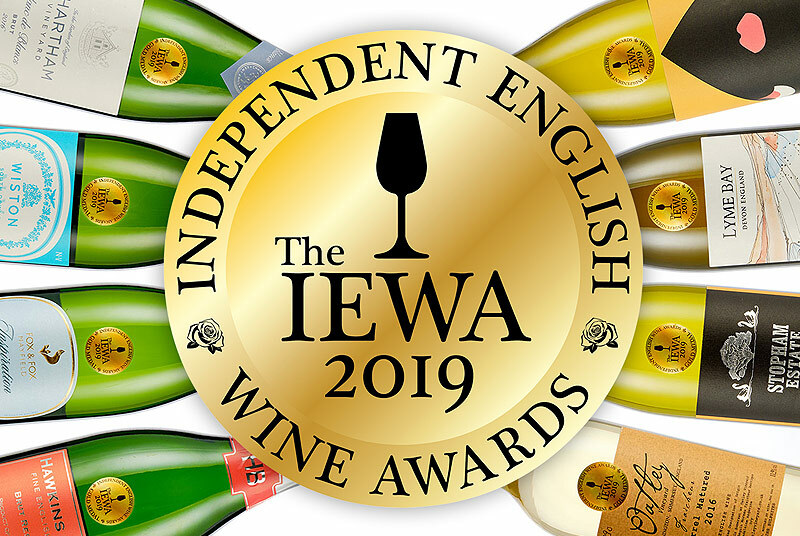 This is perhaps the most unusual product in the lineup, and certainly one of the most innovative that Hampshire winemaker Hattingley Valley has produced. It was made from whole bunch pressed Chardonnay that was fermented in the same way that they produce sparkling wine, before being distilled five times for a highly refined grape-based spirit. 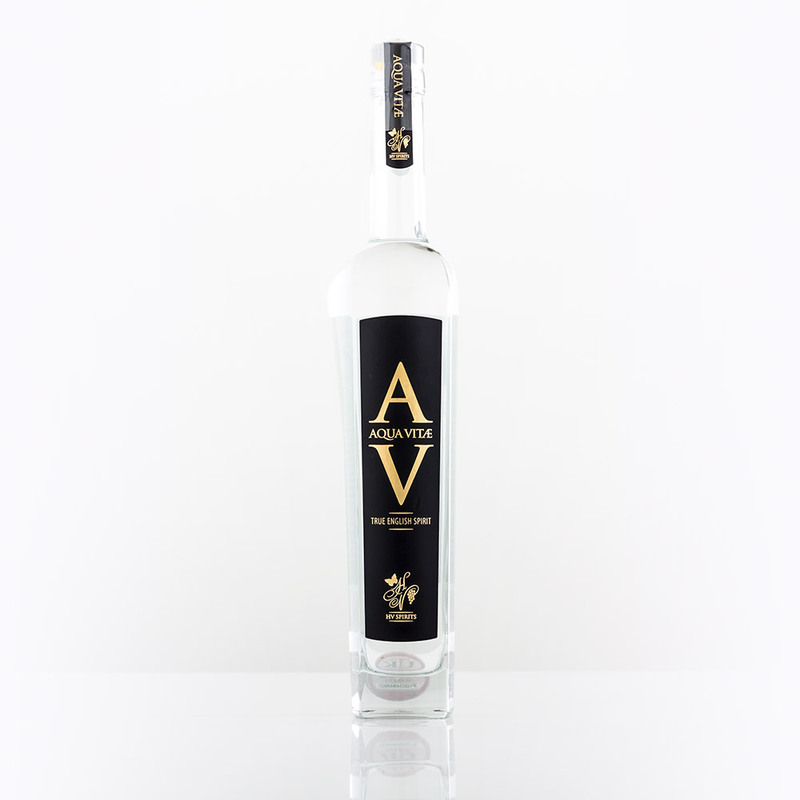 The AV has a heady, boozy aroma with strong citrus, liquorice and honeyed notes. Tasted neat, the AV is warming and distinctive, with a sweet hint of candied sugar and preserved fruits. 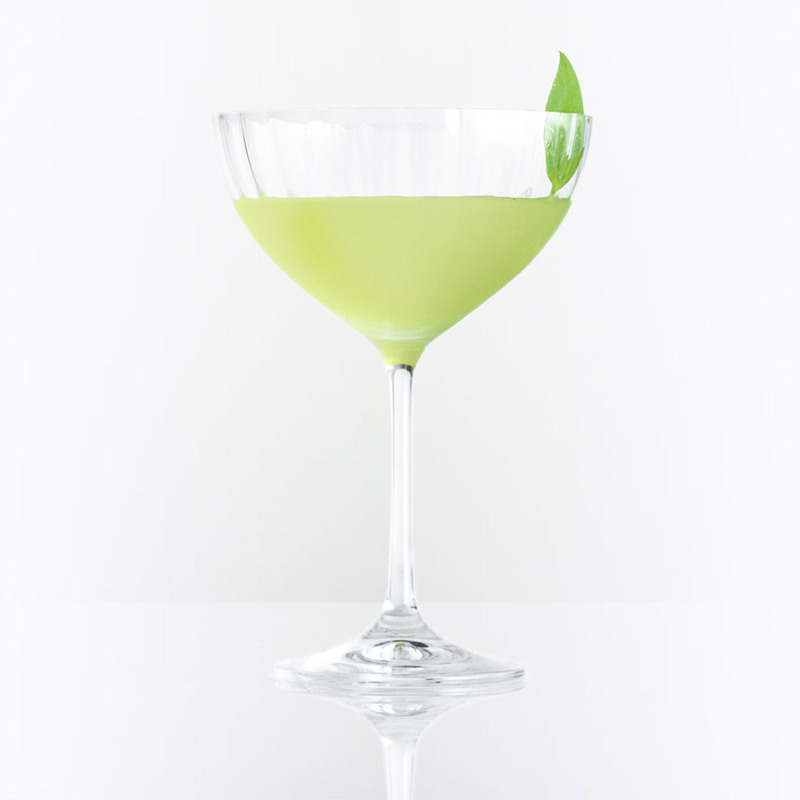 With its bold flavour profile, I opted to use it in a cocktail with minimum dilution and I found the basil to be a perfect compliment to the spiced notes in the AV. Muddle 6 basil leaves (more if small leaves) and pour in 50ml Hattingley Aqua Vitae, 25ml lime juice and 15ml sugar syrup. Shake over plenty of fresh ice then fine strain into a coupé. Garnish with a single basil leaf.